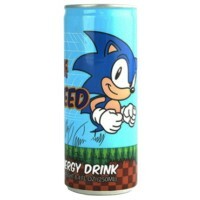 Get the speed you need to foil Doctor Eggman‘s latest scheme! 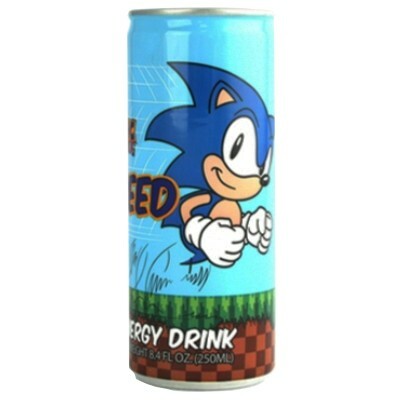 The Sonic Speed Energy Drink is the fruity jolt you’ve been waiting for. 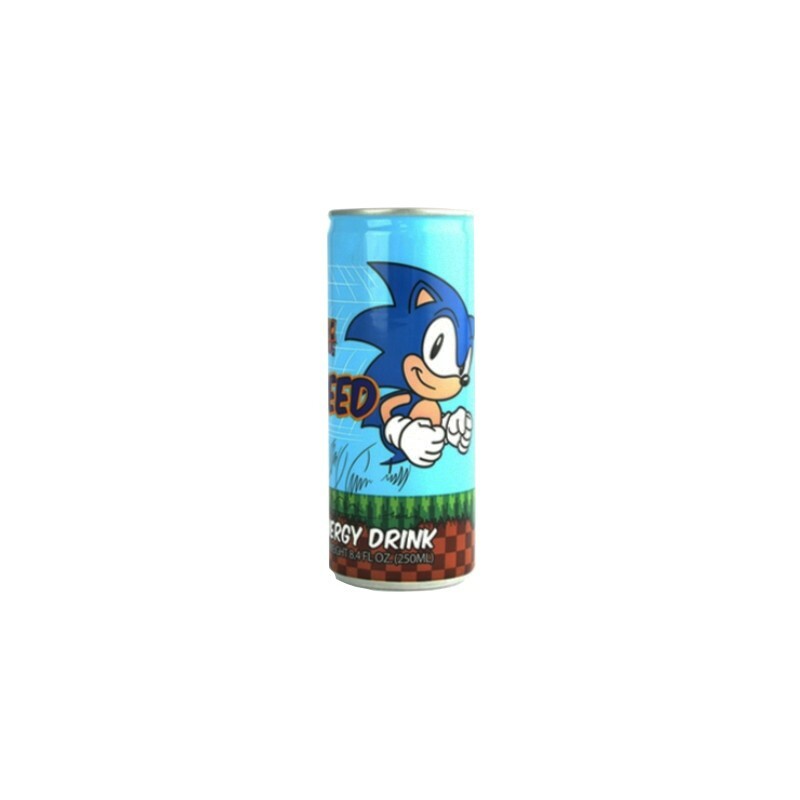 Inspired by the classic 1990s arcade game Sonic the Hedgehog, this beverage features playfully vintage art on the can and a powerfully delicious berry flavor that is sure to thrill your eyes and mouth! Order other products from the American brand: Boston American Corp.
Browse all products by Boston American Corp.
Carbonated water, high fructose corn syrup, acidity regulators E330-E331, taurine, natural flavors, caffeine, preservatives E202-E212, ginseng root extract, guarana seed extract, inositol, vitamins B3-B5-B6-B12, colors E133-E102*-E110*-E129*, fruit and vegetable juice for color, thickening agent E414, emulsifier E445. Caffeine:282mg/ml. High caffeine content. *May have an adverse effect on activity and attention in children. Contains GMO. Nutrition facts (for 100ml): calories 44Kcal, total fat 0g (saturated fat 0g), total carbohydrate 11.7g (sugar 10.9g), protein 0g, salt 0.1g.